The Graduation Quilt Is Finished! The Graduation Quilt is finished and delivered. Top Thread: Superior Threads So Fine! Color # 722 – Crickey! 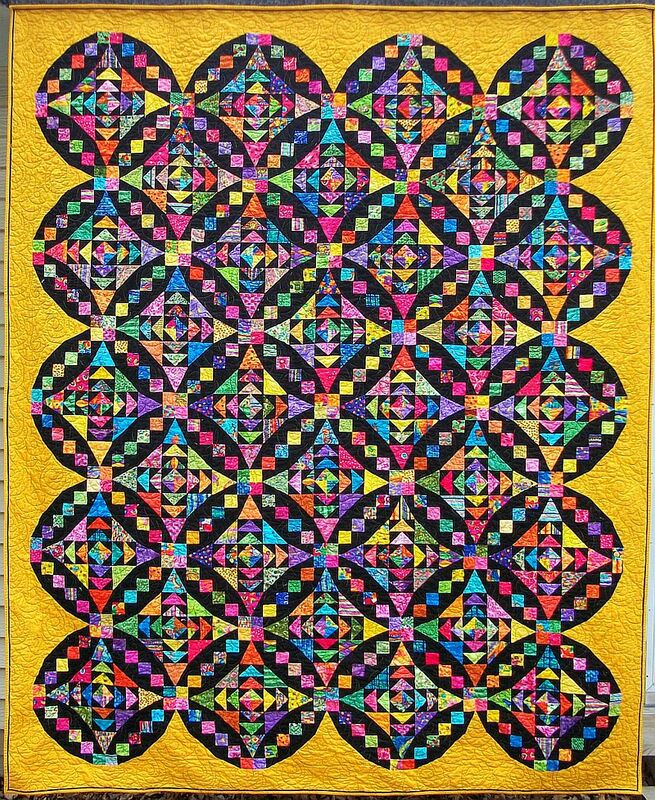 This quilt was on my UFO list in several challenges. I’ll add the links when the corresponding post goes live. Aunt Marti’s 52 Quilts UFO Parade. It’s just Awesome how pretty this turned out. 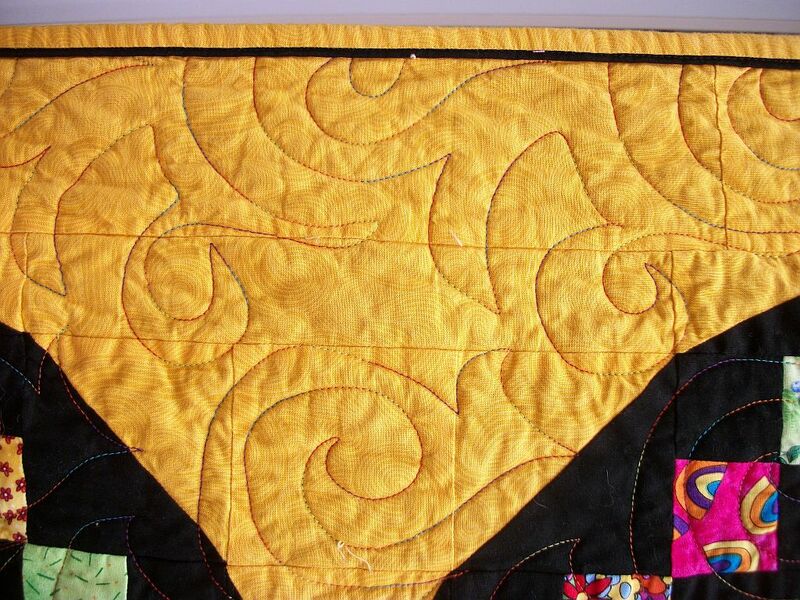 I love the Quilting you did on it. I’m amazed at how much quilts shrink just in the quilting. I’ve not measured after washing. Gorgeous, gorgeous quilt!! I love the bright, fun, colorful fabrics you used to make this beauty. What a lovely gift. The colors are so fun and I love the illusion of curves. Congratulations on your finish. Nice finish — love the clear assortment of colors against black!! What a lovely quilt. I love all the detail in it, and how it seems to move in front of my eyes. Wow! That is a beautiful quilt. It reminds me of stained glass. It surprises me that it only took 3 hours to quilt…maybe that is typical for long-arm quilting. Anyway, nice finish!